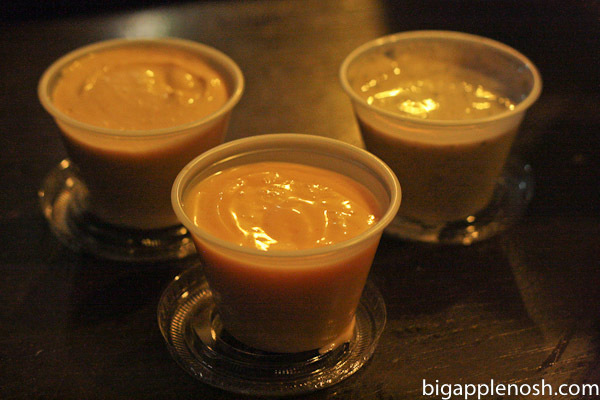 Alright, to clarify – the sauce menu is quite extensive. As for the fries, the only choice you have in the matter is regular, large or double. Oh, and poutine – heeeey! Love poutine. Anyhoo. The first time I ate here with a buddy, I made the mistake of ordering a large. Alright, if you want a cone of fries the size of your head (and I have a big head. Physically, that is), go ahead. But for my eating buddy and I, the regular was juuuust fine. The fries are hot, crispy on the outside, mealy on the inside, and a perfect vehicle for the myriad of sauces offered. 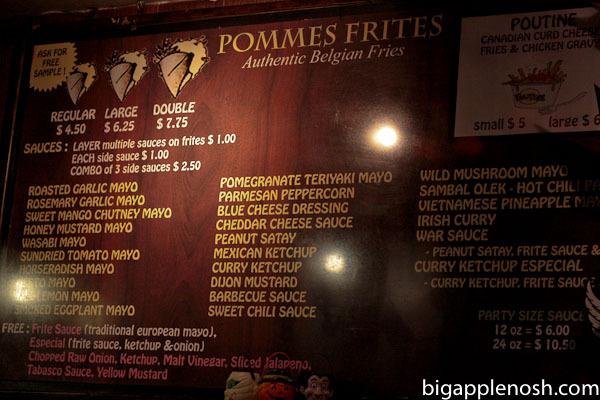 Pommes Frites is open until 1am on weekdays at 3:30am on weekends – can you tell they cater to the student crowd? I had the freak-out of the week when what I thought that PF was replaced by a shiny new frites joint. But not to worry, just walk 200 feet south, and you’ll find that dark, greezy Pommes Frites is there to stay. Yum. Perfect for a late-night snack. 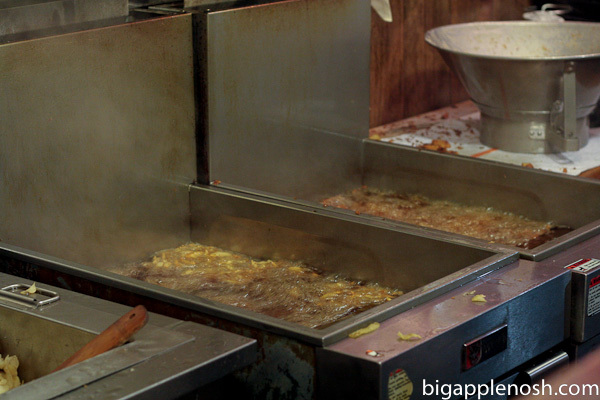 Are you a fan of thin of thick fries? If you're ever in Philly, you have to go to Monk's Cafe. 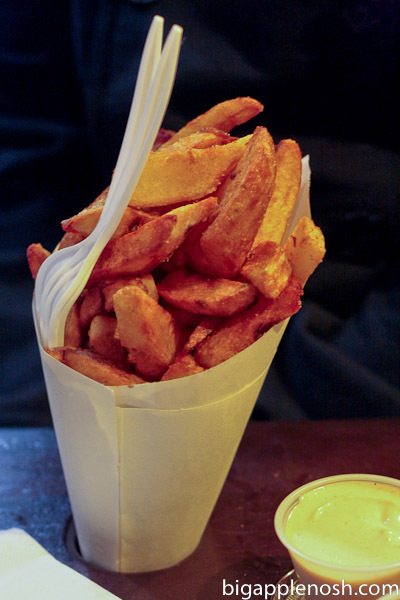 It's a Belgian place that is famous for their mussels, but their frites are to die for too. omg looks so good. Every time I visit your blog I leave oh so hungry! i really liked this place, except it was usually too packed to find a seat! YUM! I eat here every time I am in NYC, I LOOOOVE their curry ketchup! oh yum!! 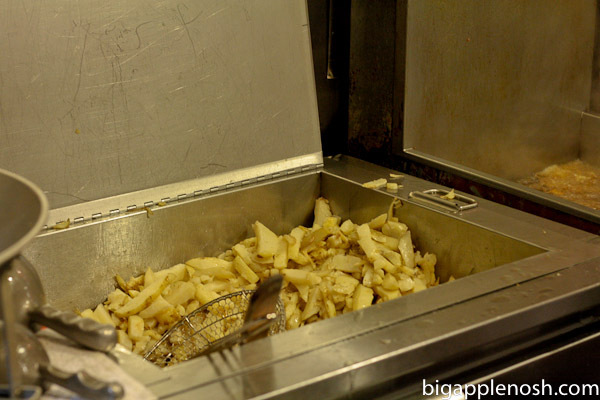 i love fries & hope to visit a pomme frites place one day. and sun dried tomato mayo sounds delish! OMG, this looks amazing!! I'd want to try all the sauces! First, I'm disappointed NYU isn't really just as Felicity portrayed it…bummer. Second, the more I read your blog the more I consider how I can convince the mister into giving up this whole suburb living thing and move to new york, pay immense amounts of money for a teeny tiny living space all because I really, really need you to be my personal food guide, every single day. Extreme? Maybe. I'm just bein' honest. aww, this brings back fond memories! We had a belgian fry shop at our campus in CA, and the dipping sauces really do make the fry. yum yum yum! The fries look really good, but the sauces! Whoa. Those look delectable. Yum! My husband loves this place because he's obsessed with poutine and there aren't many places to get it in the city!